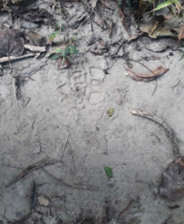 The objective of Balipara Foundation’s visit to Royal Manas National Park was to explore the rich biodiversity of the Park which shares its border with India’s World Heritage site, Manas Tiger Reserve, and to collaborate with Royal Manas National Park for Certification Courses on Plant and Diversity Survey Methodologies for the Forest Guards at the Eastern Himalayan Naturenomics TM School. Magical, exhilarating, thrilling and unique- to the say the least, sums up our trip to Royal Manas National Park. Immersing ourselves in the sights, sounds, textures, smells, motions, feelings and subtle messages disseminated by nature. Situated on the banks of the Manas River in the midst of the dense Manas forest, the Mathanguri forest lodge is completely disconnected from the rest of the world. We arrived at Mathanguri in the evening after a three hours’ drive from Guwahati. A blissful view from Mathanguri (Indian side), the beautiful landscape of Royal Manas National Park can be witnessed. All you could believe right there is that the whole existence is joyful. Adjacent to the Manas is the Bhutanese Counterpart, Royal Manas National Park.Without further delay, we headed towards the Royal Manas National Park Camp, taking the road backside of Mathanguri Lodge. Taking the rough road in the dark hours, we reached the river side. We crossed the fast-flowing river in the mechanized boat. 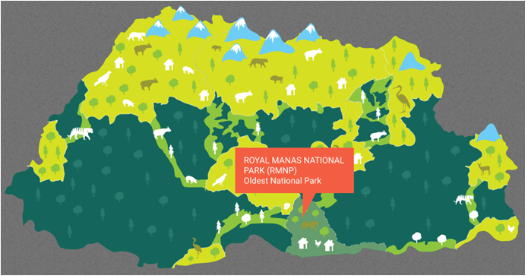 Royal Manas National Park is the fourth largest park in Bhutan covering an area of 1057 km2. It shares its border with India’s World Heritage site, Manas Tiger Reserve, and is also connected by corridors to Phibsoo Wildlife Sanctuary and Jigme Singye National Park. 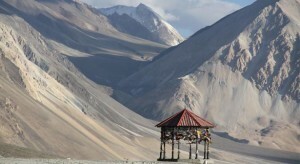 Manas Park covers three districts: Zhemgang, Sarpang and Pemagatshel. 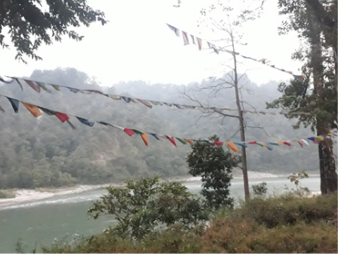 The spectacular view of the river flowing, the sound with a cuppa tea in our hand, burbling of the stream as it travelled along its bed, bubbling over rocks, the breath-taking view of the colourful flags blowing in the wind- it was indeed the happiest morning. The location ensures you remain completely cut off from the rest of the world. This unique landscape of RMNP forms an important natural conservatory of the country representing outstanding habitat diversity ranging from tropical monsoon forest and subtropical forest to warm broad-leaved forest and the cool broad-leaved forest. First started in 2013, 13 receiver’s stations are available till date. Till now 104 chips have been inserted. By the end of this year they expect to get the results as they had downloaded the data three months back and sent it to USA for analysis. A wonderful initiative by the Department of Royal Manas National Park – The objective of the Golden Mahseer Project is to see the migratory pattern of the Golden Mahseer; how far they can go upstream. Fishes are caught and pencil battery size chips are inserted and then are kept for 15 minutes in water until it is left unconscious and then its sense is back and released. At the Royal Manas National Park, some receiver’s stations are kept; when the fish moves, the station receives the signal for the tagged fish. Thus, one fish that gets caught right here in Manas moves up to 48 kms upstream. This helps in assessing the fish movement in the rapid river.The project has been sponsored by WWF Bhutan with the support from Fish and Wildlife Foundation of USA. The Forest Department has been trained by researchers from USA for the surgery. The surgery does not affect the fish morphology or behaviour. A very small fraction of the body is cut just to insert the pencil size battery. They also put some amnesia so there is no pain. Initially the validity of chip was for 3 years. In 2016, new chip was made that lasts for 10 years provided that the receiver’s station is functioning well and the fish is alive. Basically, the fish that has been tagged has different code numbers. Whenever the fish passes through the receiver’s station the code is picked up by the signal. The station has plenty of data as the fish always moves up and down. After every 5 seconds the signal can be received by the station. It was a leisurely trek in the forest in the early hours of the day in Royal Manas National Park. We walked here like we were kissing the earth, opening all our senses, absorbing the atmosphere of the forest and relishing the feeling of belonging, being part of this beautiful living and breathing world. 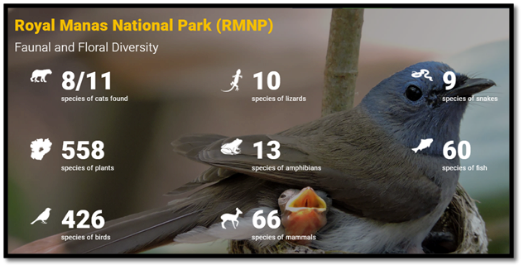 Through the interactive nature walk of 8 km we experienced the thriving and threatened biodiversity of the region. And as early mornings are typically better for birdwatching- an excited stir goes up in the group as we spot different birds in our trail. 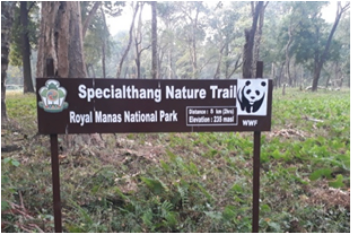 Thereby, an unparalleled biological treasure in the Eastern Himalayas – Royal Manas National Park represents the largest example of tropical and sub- tropical ecosystems in Bhutan. Karishma Ahmed is a NaturenomicsTM Executive at Balipara Foundation. As part of the team, her efforts are centered on organizing forums & programmes, communication outreach strategy and to coordinate and manage communication & branding objectives of the Foundation. Her other interests and expertise include socio-economic research with a special focus on gender empowerment and Ecofeminism. 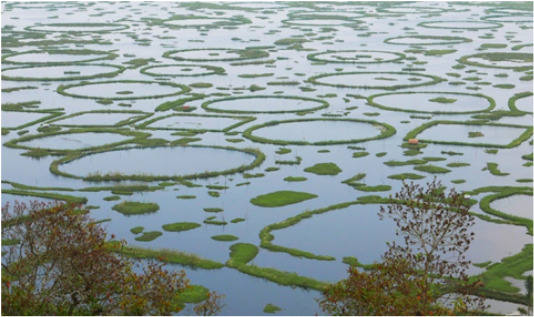 With the view to protect the Loktak lake from further deterioration, a mobile research laboratory has been launched to study and evaluate the ecosystem of the lake. On the occasion of its launch, Manipur Forest and Environment Minister Mr. Thounaoujam Shyam Kumar expressed his concern over the increased pollution penetrating in the lake and the need for floating laboratory of Institute of Bio resources and Sustainable Development (IBSD) to monitor its ecosystem. With water quality machine installed, the boat is built to operate across the lake for twenty- four hours assessing the quality of water and thereby, has been made proficient to tap on the temperature scales, chemical composition apart from the rest. More than four months were spent by ISBD to shape the boat as remarked by IBSD Director Professsor Dinabandhu Sahoo. 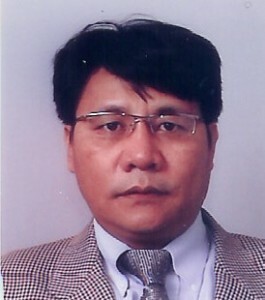 Mr. Shyam Kumar observed that through this whole process of research, scientists have extracted alcohol from the grass present in lake and soon it would be sold, and also the possibility of making organic compost from phumdis has been recognised.In an effort to encourage tourism, it has been proposed to install mobile bio toilets at the Loktak lake. 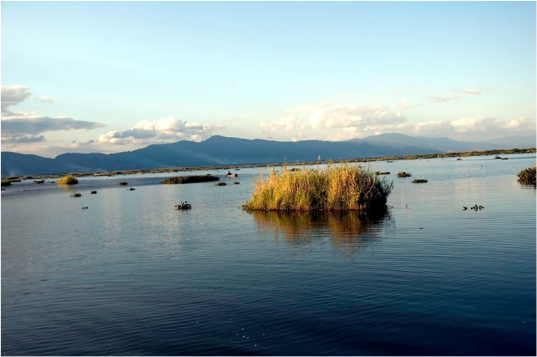 As part of the task of saving the lake and the environment around it, the state and the central government would be working collectively, in addition to the Loktak Development Authority (LDA) and Institute of Bio- Resources and Sustainable Development (IBSD). 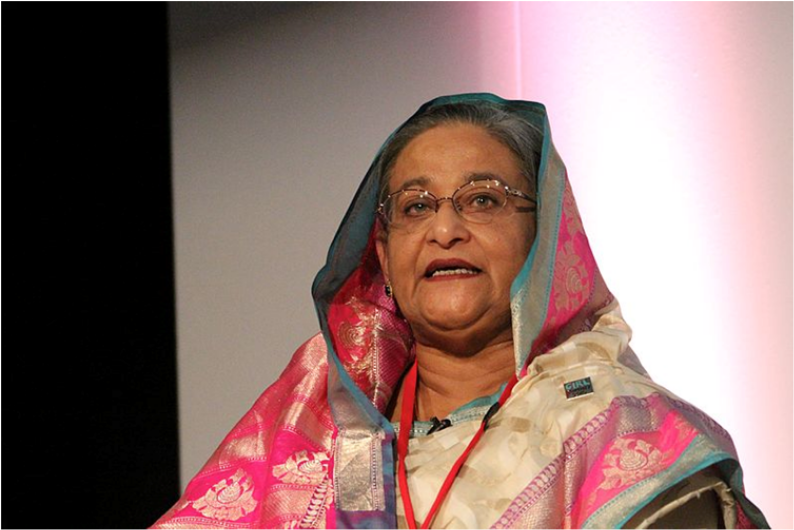 To strengthen Bangladesh’s relationship with Singapore, Bangladesh Prime Minister Ms. Sheikh Hasina made her maiden official visit to the country. Her meeting with the Prime Minister of Singapore Mr. Lee Hsien Loong got translated into the signing of two memoranda of understandings (MOUs), giving a boost to their business and bilateral relationship. Thus, the MOU based on public- private partnership was signed to help and support the Singaporean firms in entering and establishing their presence in the Bangladeshi markets, which is ever growing and expanding. IE Singapore and the Public Private Partnership Authority of Bangladesh were the signatories to this MOU. The Civil Aviation Authorities of both the countries gave an agreeable shape to the second MOU for the purpose of advancing cargo and passenger services between Singapore and Bangladesh. Bangladesh Prime Minister Ms. Sheikh Hasina stressed on the historic diplomatic relations between the two countries which have remained intact since 1972. She talked about the constant cordiality between the two ever since, and the prosperous futuristic collaborations. With Singapore firm Sembcorp making investments worth US $ 1.1 billion in power plants, further investment engagements in Chittagong Port are being explored by PSA. While praising the conducive working environment for Bangladeshi workers in Singapore, she hopes the trend continues and Singapore continues to remain a favourite destination for the workers. In an effort to sensitise the local communities lodged around Manas National Park toward environmental conservation, High Commissioner of New Zealand to India Ms. Joanna Kempkers employed a van as an educational and knowledgeable tool to build a relationship of concern and proximity among the community members toward their environment. An engaging conservation tool developed by Aaranyak was put in place with the view to spread awareness about the need to conserve and the measures to be adopted to practise environmental conservation. Part of Manas Tiger Conservation Programme (MTCP), this vehicular initiative was undertaken to attract the communities and interact with them about the positives about conservation-based education. With striking outer design of the bus, beautified by the local flora and fauna of the ecosystem of that place, this van helps in catching the attention of the community members and enables an opportunity of interaction with other members surrounding the landscape. Conceived as a mobile educatory tool, the van is well installed and equipped with the needful resources both theoretical and practical. This comprises banners, display tools, extensive audio-visual media accessories like projector, generator and more. For demonstration purpose, a small laboratory like equipment is also placed in the van. To make it convenient and accessible at all times, folding tents exhibiting educational materials are also carried for on the spot awareness. To further the engagement streak with the target audience, a conservation theatre has been conceptualised too, showcasing popular folktales disseminating conservation messages in a modernised manner. Experienced theatre artists have been chosen to perform conservation narratives through its theatrical tangent. To expand its conservation-based education amid the youth and the young nurturers in school across Manas Tiger Reserve in Assam, this van helps in organising educative shows in school. 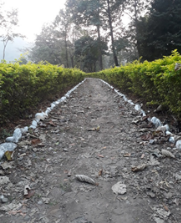 Aaranyak in collaboration with the Forest Department BTC, Panthera, Wildlife Conservation Trust, and Awely have continuously worked and strived toward conservation and community centric amelioration in the landscape of Manas. Determined to ameliorate the living conditions of the communities living around and in the tea gardens of Assam, Twinings has committed to renew its partnership with Unicef for an additional five years of funding toward the communities of tea gardens in Assam. During their eight long years of association, this partnership has empowered more than 34,000 women by heeding to their vital health needs. With more than 63 tea gardens in Assam, the communities living there are most vulnerable due to the lack of appropriate healthcare facilities to women, adolescents and children. Thus, Unicef -Twinings association has embarked on a social protection mission in the quest to uplift and improve the lives of women and children living around Assam’s tea gardens which are responsible for more than 50 percent of tea production in India. The social upliftment being aimed through this collaboration involves active engagement with the tea producers and government at the local, state and central level. 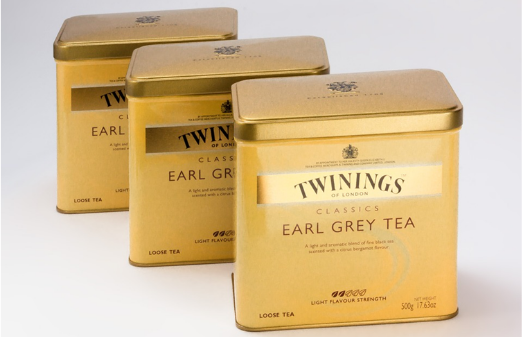 Continuing with its resolve to relieve the tea workers of Assam, the renewed partnership between the British owned Twinings and the Unicef is a testimony to this resolve and commitment driven towards improving the standard of living of the tea communities of Assam. It’s a moment of pride and glory for the nine north-eastern states of India to be chosen for Smart Cities’ Project- an initiative of the Narendra Modi Government. 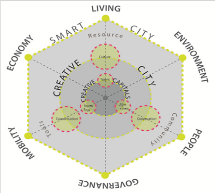 On road to improve the lives of citizens, the smart city project focusses on the essentials of sustainability, inclusivity, decent infrastructural capacity and an enriched quality of life for all its citizens. 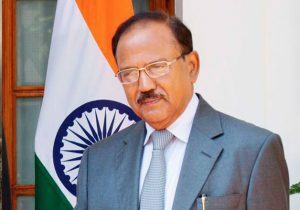 The nine North-Eastern states that have been made part of this project include- Pasighat and Itanagar (Arunachal Pradesh), Guwahati (Assam), Imphal (Manipur), Gangtok and Namchi (Sikkim), Aizawl (Mizoram), Kohima (Nagaland), and Agartala (Tripura). Aizawl’s entry to the Smart Cities list will enable its urban mobility to improve, leading to decongestion on roads by way of multi-level car parking and ICT-based public service delivery. Known for being the first state advocating ‘no honking policy’ in India this move hopes to support Aizawl’s urban planning scenario in an enhanced and sustainable manner. Nagaland’s capital Kohima suffered from connectivity and topographical conditions, restraining it from being called a smart city. However, Central Government’s allocation of Rs.1,800 crores in supporting it become one has been admitted quite enthusiastically by the Prime Minister of India Mr. Narendra Modi. Being inducted in the Smart Cities list in 2015, Imphal has been doled out an assistance of Rs. 106 crores by the Central Government. 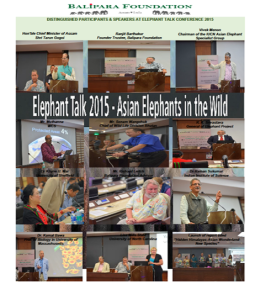 An international interest has been shown in developing the city of Guwahati. South Korea would be investing in the city to turn it into a smart city. Under the Smart City Mission, urban flooding and congested traffic system in the city of Guwahati is intended to be managed, with the central assistance of Rs. 2,293.35 crores. The capital city of Tripura is devoted to impart enriched quality of life to its citizens by preparing for infrastructural capacities through the support of this mission. LED lighting, disaster management and solid management are being taken care of in the initial phase of the Smart City project. In line with the Centre’s ‘Act East Policy’, these north-eastern states would benefit from development opportunities, with massive investment and employment prospects. Being included as one of the 100 cities selected for smart cities mission, funds of Rs. 14,124 crores for 464 projects have been stipulated for their development. In November-December 2017 I was sponsored by the Australian Government Department of Foreign Affairs and Trade to complete a three-week internship in Yangon, Myanmar through the New Columbo Program. As an undergraduate university student my work with an NGO at East Yangon University was not eligible for a business visa. Therein lay the challenge: how could I see the most of Myanmar while tied to the city of Yangon for three weeks? On a 28-day tourist visa, one can hardly even scratch the surface of this complex country – and that’s without being tethered to Yangon for business days. 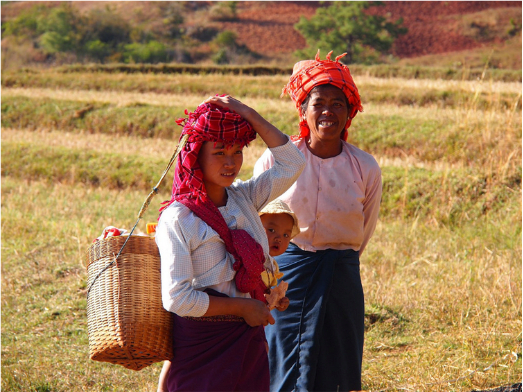 Myanmar is home to more than 100 ethnic groups. Almost two thousand kilometres of land stretch from Arunachal Pradesh to the Bay of Bengal; including glaciers, coral reefs coastal wetlands and more. Do not make the mistake of looking for signs of Delhi in Yangon, or fall into the trap of comparing Ngapali Beach to Ko Samui. Though influenced by the cultures of the countries surrounding it, Myanmar is worth exploring because of its uniqueness, not its familiarity. Yangon is a city full of life: enchanting, often perplexing and a worthy introduction to the country. In between aging colonial buildings are hints of a more vibrant reality: night markets with fresh river fish still squirming on ice, women and men in longyi of every colour of the rainbow and a skyline lit up by numerous gold pagodas. In a city of over seven million, you can feel like you belong in a matter of days. This is especially the case if you make the effort to do so. 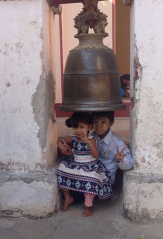 Myanmar language is not broadly spoken outside of the country but smiles are easy to come by – as is curiosity. While you drink in your new surroundings, locals can spy you from afar. Whether a business colleague or a busy street side tea shop, foreigners are peppered with questions. The best way to respond? Tweya da wan ta bad de. ‘Pleased to meet you,’ and add a few questions of your own. When Myanmar citizens travel, it is not uncommon to hear people admit they know nothing about the country. A little effort goes a long way for foreigners to show their interest in Myanmar culture. At East Yangon University, as with the majority of Myanmar, students dress in longyi every day. Girls often wear matching tailored tops (ingyi), and the traditional acheik water wave pattern competes alongside more contemporary designs featuring the likes of Hello Kitty and emojis. Individuality is permitted and even celebrated on social media; but the attire still lends a sense of uniformity to both the classroom and broader community. Dressing and speaking like a local – even if in somewhat fragmented ‘Myanglish’ – provides a cloak for exploring. Perhaps only true locals will look forward to the unmistakable condensed-milk taste of Myanmar milk tea in the morning, but an aromatic bowl of mohinga is a breakfast to be savoured. The unofficial national dish of Myanmar is best enjoyed roadside, at a plastic chair and table, watching city life go by. Other staple dishes include Shan noodles and salads seasoned with fish sauce, lime juice and crunchy fried onions. The best part of spending multiple weeks in a city is the opportunity to savour it. Directions are easy to remember; particularly in Yangon where streets are numbered. Restaurants can be visited 2 or 3 times. 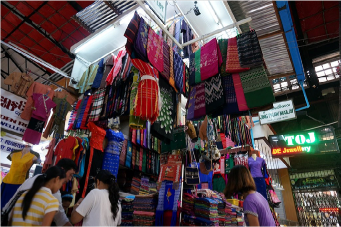 What was once unfamiliar becomes speckled with ‘favourite’ spots – the iconic Bogyok Market and its in-house seamstresses and artists; Maha Bandula Park with its perfect view of Sule Pagoda. Despite leaving the city at every opportunity provided – once even to dart across the river to a fishing village called Dala – Yangon was a wonderful welcome home. Each opportunity to see a piece more of Myanmar’s tantalising puzzle was unforgettable. Local travel agents are a valuable asset particularly as reliable online information can be hard to come by. ‘VIP’ bus is by far the most comfortable way to travel – if you choose the right provided and pay between $20-25 USD, the seats will be spacious, the coach will be air conditioned and sleep will be easy to come by. Internal flights are much quicker but also less reliable. When time is precious, choosing air travel is often unavoidable. Mandalay also has an international airport and is well connected to the country’s most popular tourist sites. The city merits a visit by its own right; particularly for a weekend away from Yangon. Mornings in Mandalay are tranquil by comparison and leaving the south means escaping the heat. Beauty is everywhere and in different forms. On the outskirts of the nearby Anisakan village is Dat Taw Gyain, a 120m tall roaring waterfall. 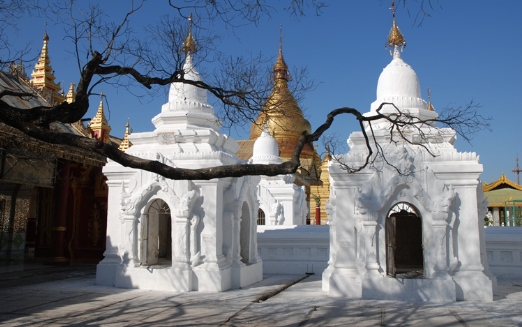 Kuthodaw Pagoda features the world’s largest book: comprised of two-metre-high standing stone pages. Mandalay Hill is an essential visit for sunset. 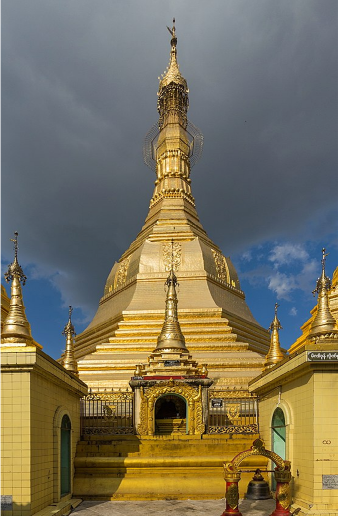 Dotted with pagodas and monasteries along the way; Suntaungpyei Pagoda sits atop them all. Mandalay is rife with opportunities for exploration and adventure. For just the opposite, the closest beach getaway by distance to Yangon is Ngwe Saung. The coastal village sits aside the Bay of Bengal, with access to snorkelling, swimming and snoozing for a deserved break from normal. Accommodation options vary from backpacker-style bunkers to resorts and villas; which means the company is diverse. Many in Myanmar wear thanaka, a traditional cosmetic product made from ground bark and it is particularly popular in Ngwe Saung for its sun protection properties. 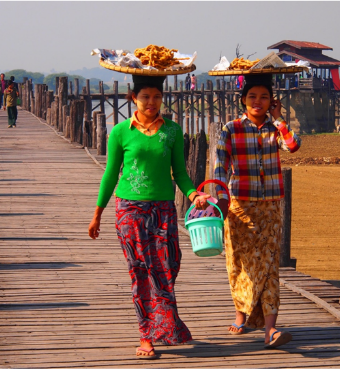 Seafood is a must here, as well is an Inle Lake, an undoubtedly more popular water destination for tourists. The nearby township Nyaung Shwe is full to the brim with lake-oriented exploration activities; such as cycling routes around the shoreline and boat trips to floating markets and restaurants. Cooking classes and day spas are easy to come by, and a winery set atop a mountain provides another stellar sunset location. Even with less than 48 hours to devote, Bagan is a non-negotiable part of any visit to Myanmar. Seeing the sun rise and set over thousands of thousand- year old temples is a breathtaking spiritual experience. Paying a $25 USD entry fee to the Bagan Archaeological Zone is worth it to contribute to the preservation and restoration of the temples; especially considering the complicated relationship with UNESCO. There is no need for an itinerary in Bagan. You simply hop on a bike, take along a map that is hardly worth glancing at and instead gaze at the endless miles of pagodas. Locals will tell you stories about their history and guide you to hidden staircases where you can ascend to a new view of the horizon. The experience is one that summarises travelling in Myanmar: difficult to plan, infinitely easy to enjoy and utterly unforgettable. It is human nature to look for signs of home when faced with the unfamiliar. Leave this tendency behind when travelling in Myanmar. 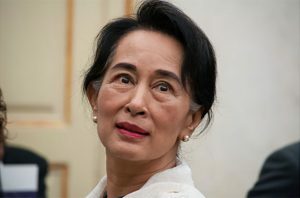 To the majority of the world, Myanmar is unfamiliar and that makes the prospect of discovery an opportunity that should not be passed off. Ria Bhagat is an Australian law student with many passions; two of which are protecting human rights and travelling the world. Myanmar’s slackened shrimp exports has caused its largest export market – Japan to support Myanmar in mushrooming its shrimp export supplies and its capacity building aspects. A host of reasons leading to the culled supply of the same stems from the report detailing exports to Japan. The report is backed by Japan International Cooperation Agency (JICA). The reasons span from inefficient breeding technology, virus in the farmed fishery sector, loss of their natural habitat and inept preservation of fishery resources. The recent percentage of shrimp export from Myanmar to other countries is as follow – 24% to India, 4% to Japan and 27%to Vietnam. However, to accelerate this percentage share, productional raise of the shrimps has been proposed by Myanmar Trade Promotion Organisation (Myantrade) via tax incentives and procedural ease. 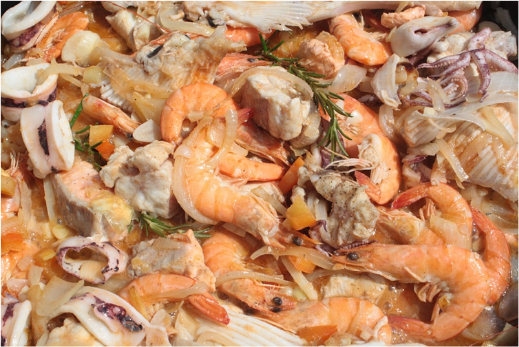 Recommendation of an effectual and sustainable aquaculture strategy to fix supply shortage of shrimps has led to framing of a National Aquaculture Development Plan (NADP) to formulate a long-term development of this sector. As part of the Denmark- Myanmar 2016-2020 programme, Denmark shall assist and cooperate with Myanmar’s Ministry of Natural Resources and Environment Conservation for a project on Administration of Mangrove Forests. Denmark’s Ambassador to Myanmar Mr. Peter Lysholt Hansen signed an agreement with the Environment Ministry at Nay Pyi Taw wherein Denmark has earmarked US$5.5 million for the project, along with its technical know-how. This assistance by Denmark is stipulated for a period of over five years, catering to the people of coastal regions of the Rakhine State and the Tanintharvi region. While observing the importance of mangrove forests in conserving the environment, Dr. Kyaw further highlighted the urgency of technical and financial aid in meeting the conservation needs sufficiently. Sustainable development of mangrove forests is the need of the hour for Myanmar’s vulnerability to climate change is immense. 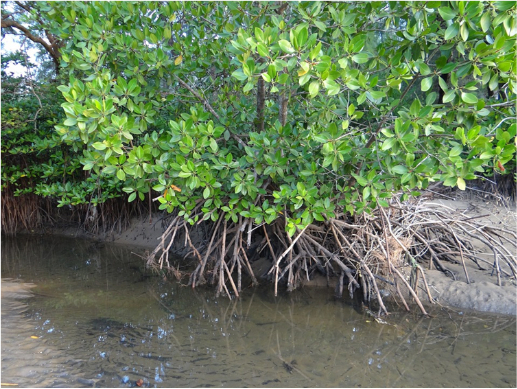 Being reckoned as natural sinks of greenhouse gases and cyclone fighters for the well-being of coastal communities, mangrove forests need immediate rehabilitation and restoration. On the occasion of International Women’s Day, a conference was held at the Myanmar International Convention Centre in Nay Pyi Taw. State Counsellor Daw Aung San Suu Kyi while addressing the gathering, talked about the rights of the rural women, the need to promote them in order to build a better future and life. She pointed out the discrimination between men who are expected to move out for work while the women stay behind. Thus, highlighting the precarious state of rural women. One of the development projects designed to uplift rural women is being implemented by the Rural Development Department called Mya Sein Yang project. This public- based project intends to electrify the villages that lie outside the purview of the power grids. Apart from this, various other village development projects impacting the lives of women have also been initiated.